The bright red color of the beads and also the teardrop hangings adds a royal class to the present combine of fashion earrings. 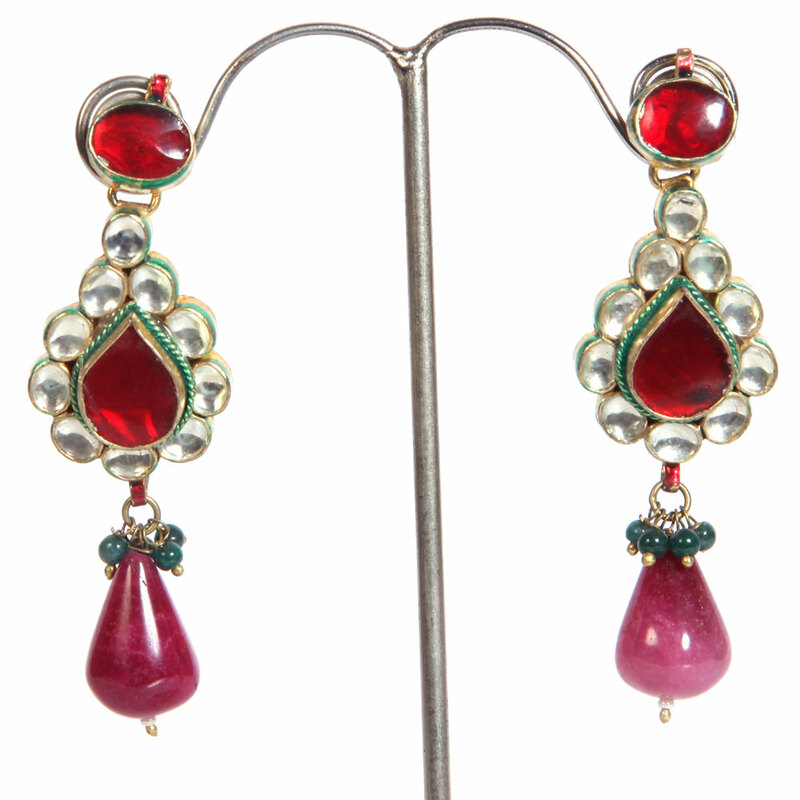 The bright red colour of the beads and the teardrop hangings adds a royal elegance to this pair of fashion earrings. The glittering white stones Read More..which have been strategically placed subdue the fiery effect of the red colour and add a sophisticated style to this jewellery meant for ears. Just go for it! Show Less..